By far, my most anticipated stop of the trip. 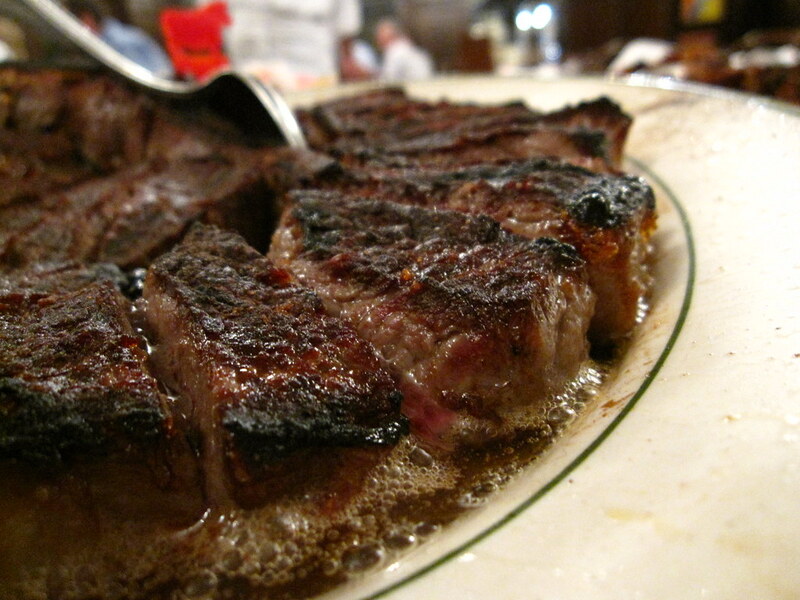 There is no steak in the city like a Peter Luger Porterhouse. 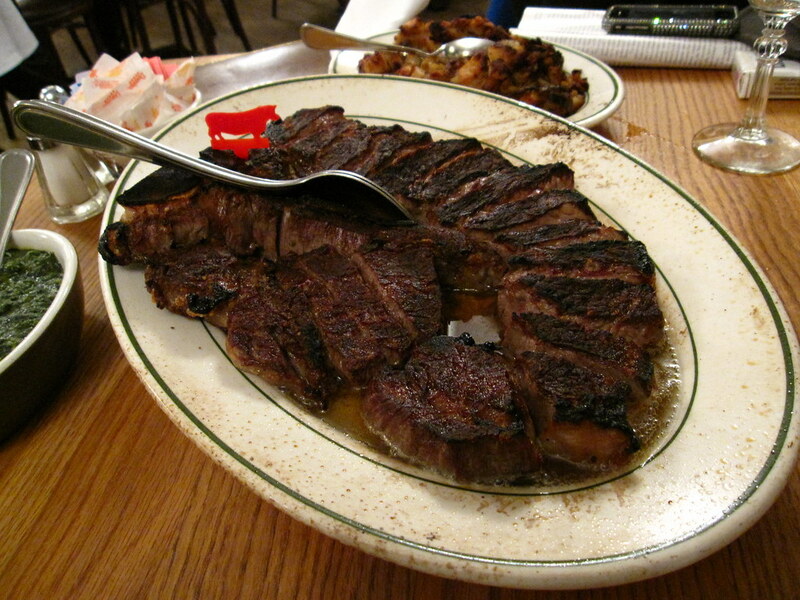 I already professed for my love for the porterhouse here (link) when talking about my ultimate meal. I’d only had one before in 1999 (story later) and I fell in love. My dear friend and fellow writer Zach Cohen cherry picked this place from the list when I asked him where he wanted to go. Of course, there’s no way I was going to take a female food blogger to Peter Luger’s. At one point in the evening, there were a grand total of four women in a packed, fifty seat dining room. A romantic evening, it was not, but that doesn’t mean we didn’t smear whipped cream all over each other. Of course I am taking pictures of the bread, but this was definitely, without a doubt, the best bread course of 93 Plates. 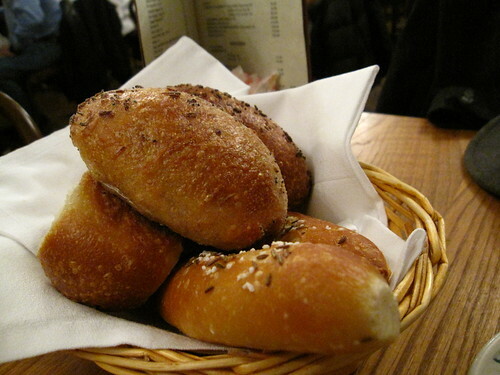 The pretzel bread was like a super soft, super crispy everything bagel. The other bread had huge pieces of roasted onion baked inside. 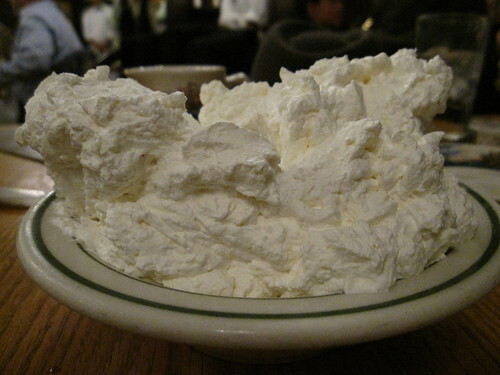 Zach thinks butter is good for you, so he uses more butter than my grandma (rest in peace – take the hint, broski). 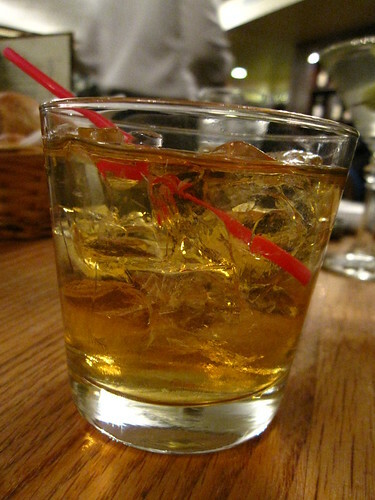 Man drink #1. What the hell else are you supposed to get when you come in here; a Cosmo? I wouldn’t test them – they might not serve you. While it isn’t that extreme, you’re not going to be seeing any raised pinkies in here. Stay classy, WIlliamsburg. This spicy little number played off the steak quite well. If you’re not drinking some kind of red with your porterhouse, I would go toward something peaty before something malty. You’ve got enough weight in the side of potatoes you’ll be having. We finished the bowl. We knew we were having a Peter Luger Porterhouse whenever the hell we wanted it, but we finished the bowl of Luger Salad. Why did we do this? Because the shrimp exploded with flavor, and the bacon was the best I’ve ever had. Big, half inch thick bricks of smoky crispiness. 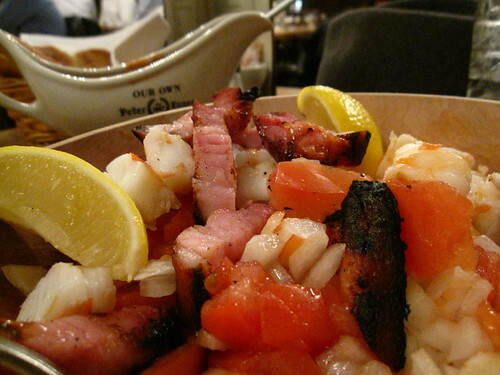 Seriously; if you have never been to Peter Luger Steak House before, go and have a slice of bacon. Just vow only to try the bacon. I think it’s like $4 a slice, so it won’t break the bank. The caveat here is that if you don’t end up staying for the rest of the meal, there’s something wrong with your taste buds. And the Luger Sauce? Fugghedaboudit. These were a nice surprise. 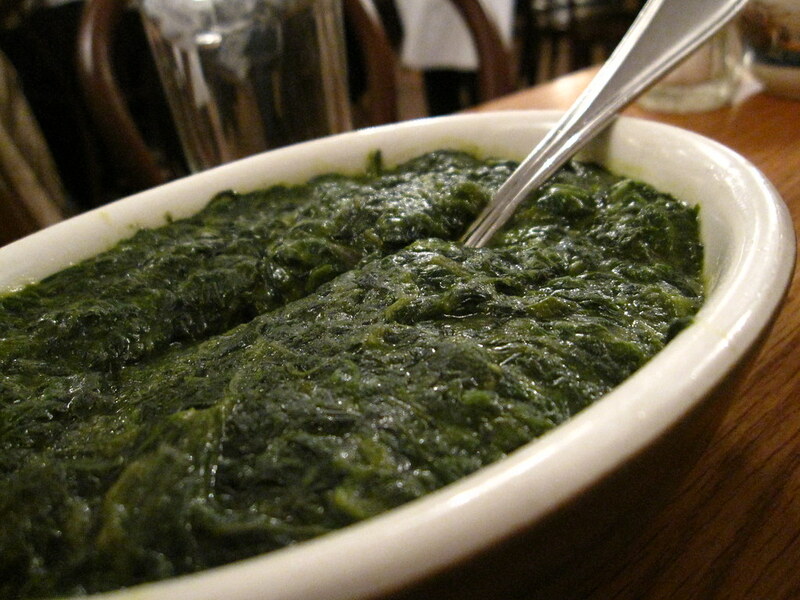 I knew coming into this place that there wasn’t going to beat the creamed spinach. 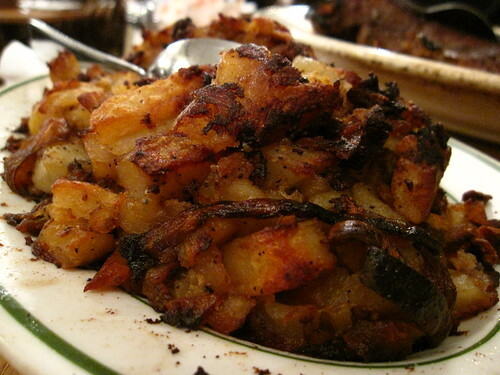 The German fried potatoes were crispy, had some fried onions in there; basically a kicked up version of home fries. So my first brush with Peter Luger Steak House goes like this. It’s 1999. 20 year old kid goes to work on the Y2K “bug” interning for the NYSE. He’s lived in four different apartments from the Upper West Side to Fort Greene in the last seven months. No kitchen in his most recent digs, so aside from a turkey/iceberg/mayo/bulkie roll sandwich he cobbles together every so often, he’s been on a solid rotation of pizza, taco bell, KFC, and on Sundays (when the Buffalo Bills are playing on local television) he picks up a sixer of MGD and a 40 of Steel Reserve to go along with his Tostitos and queso. 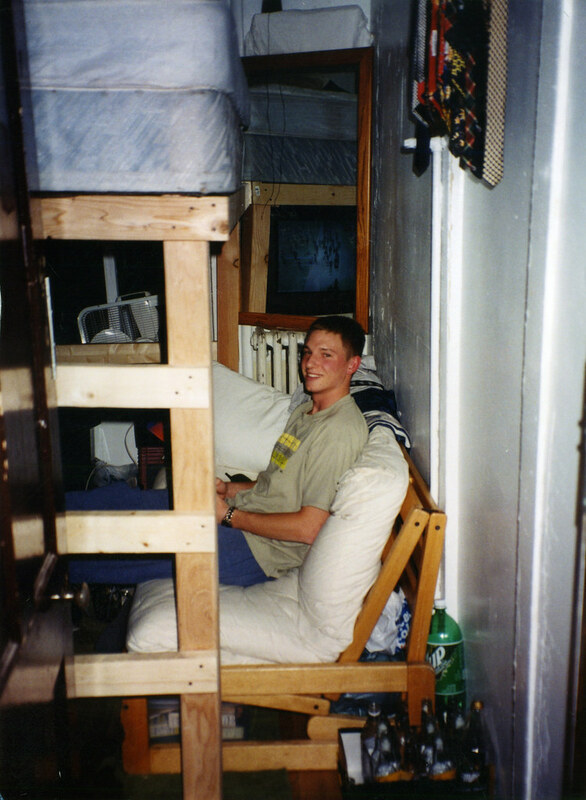 Here’s a picture of him in his room sitting below a queen sized bed on a futon (link). He’s used to eating crap food on his intern wage, so he doesn’t complain. Sonny is one of the other consultants on the project and has lived in NYC in the same apartment for over 30 years. The place he’s in is rent-controlled, so he’s paying more in utilities than rent, the caveat is the landlord has let the old place go, but a better deal is not to be had in the city. Sonny has a lot of stories, not too much in the way of expenses, and a soft spot in his heart for kids trying to make it in the city, so he brings his intern friend Chris and him out for lunch one day about a week before his project ends. The thing I remember the most about the first visit to Peter Luger Steak House was the energy. It just smelled like confidence. Even as an intern, I felt like I was supposed to be there. Supposed to be having scotch at lunch (we weren’t carded), supposed to be tearing into a single entree that cost more than any dinner I’d ever experienced, supposed to be surrounded by the powerbrokers of NYC (or not – lunch is for wimps, right?). I felt like this meal was my official arrival in NYC. And after a week and a half, I was gone, only to return ten years and a month later to soak in the same atmosphere, drink the same scotch, and enjoy the same steak. Some things never change, and thank God for that. 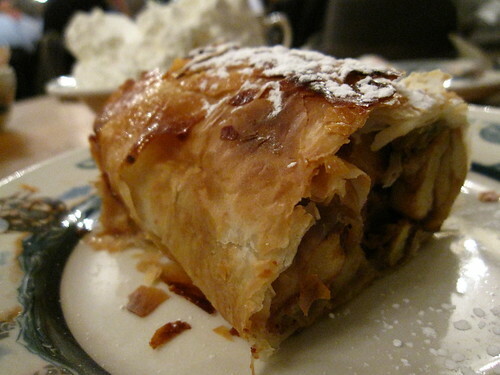 I almost want to call it Apfel Strudel, just to get one last shot of the German influence in here. Good strudel, but nothing to write home about. Look at that gorgeousness. If you saw that cloud floating to any other table, could you possibly get away without ordering a bowlful? The family next to us had whipped cream … this reminds me of a night in Vegas recently – I got to our table, and we had Skyy; then the two other tables next to us arrived and ordered Goose. What do you think the next bottle on our table was? 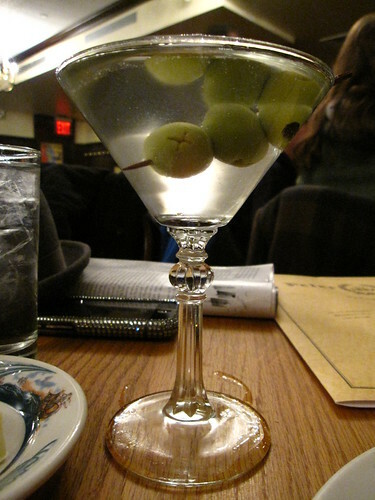 The IRL Arts Foundation and The Wandering Foodie thank Peter Luger’s Steak House for providing this meal. Is it by chance a remoulade-ish dressing? I'll have to think on that awhile–get my taste working with my brain–THANKS! Ha! There are no waitresses at Peter Luger's!